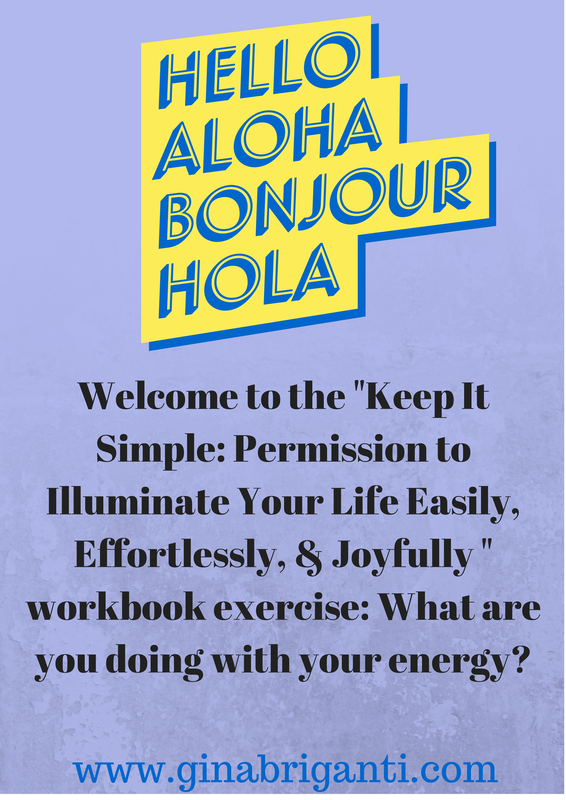 Keep It Simple Workbook Exercise 7-2014: What Are You Doing With Your Energy? Your energy is a precious resource. So, what do you know, trust, love, and accept about how you use your energy? Pg. 14 of the workbook has a space for what you know is true about yourself. If your meditation with the words “I know that I use my energy in the best possible way,” energized you, comforted you, or in some way felt like it was the one, this is where you’ll write the phrase in and date it. You know how much fun it is to look back on those entries! Pg. 16 of the workbook is where you’ll write the words, “I trust that I use my energy in the best possible way,” if this is the phrase that gives you a good feeling, energizes you, or in some way adds something to you. Pg. 17 of the workbook is the place to write “I love that I use my energy in the best possible way,” if this is the phrase that gives you that loving feeling. Pg. 18 of the workbook is where you can write “I accept that I use my energy in the best possible way,” if this is the feeling that resonates most for you. If you don’t already have a copy of “Keep It Simple: Permission to Illuminate Your Life Easily, Effortlessly, & Joyfully” you can click on the book cover; it will take you to Amazon. I have signed copies available. If you prefer one of those, let me know. Bringing awareness to how we use our energy is critical, as you said. Thank you for your comment and for your interest in the workbook.